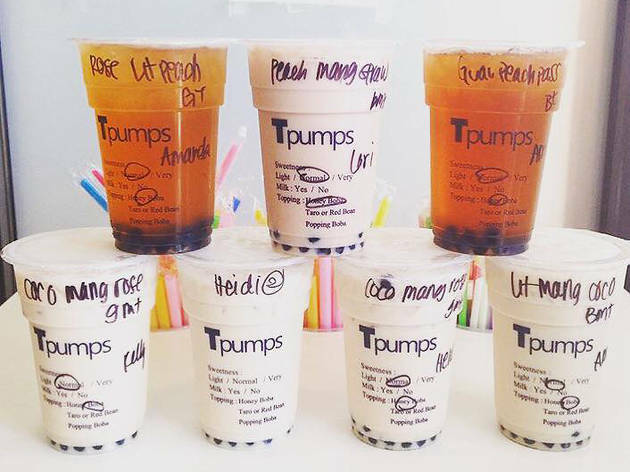 Customize your drink by choosing a tea, flavoring, and sweetness level at this consistently mobbed Bay Area chain. The selling point is the multitude of flavors, which run the gamut from peppermint to green apple to rose. Though the taste is in Torani syrups rather than real fruit, the ability to mix and match leads to unusual combinations, like watermelon-peach-mango and peach-lychee-passion fruit. Honey boba comes with every drink, though some opt for the "popping boba"—tapioca filled with fruity syrup. 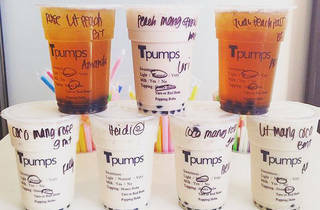 Other than the fruit teas, drinkable desserts like the s'mores milk tea are popular.